The bill's supporters argued that checkpoints are inefficient and said that according to one trooper, fewer than 1 percent of drivers who are stopped are charged with drunk driving. Police would no longer be allowed to set up sobriety checkpoints under a bill passed by lawmakers in the New Hampshire House. The bill's supporters argued that checkpoints are inefficient. House Representative John Burt said that fewer than 1-percent of drivers who are stopped are charged with drunk driving. Supporters also said checkpoints can erode relations between police and the public because drivers don't like being stopped, and that because officers get paid overtime it makes the practice expensive as well. "They're only doing these for the money," Burt said. The bill's opponents unsuccessfully argued that lawmakers should not ban a tool that police can use to protect the public from drunk drivers. "We oppose that bill. We do not support that bill," said State Police Captain John Marasco. "The main function behind the sobriety check point is to make sure that we prevent tragedy on the roadways." Drivers have weighed in on the debate. "Keep it safe out there," said David Dixon. "I think they need to keep that on people's mind and make sure that they're doing what they're supposed to do." "I feel like it's one way to let the public know that they're watching," said Katie Forget. According to state police at these checkpoints, for example troopers may stop every third person checking for impaired drivers. If they catch one, they'll arrest them. Representative Burt said troopers aren't catching enough drunk drivers to make it worth it. "They catch these kids, pimply faced 19-year-old kids with a little bit of marijuana and they arrest them," said Burt. 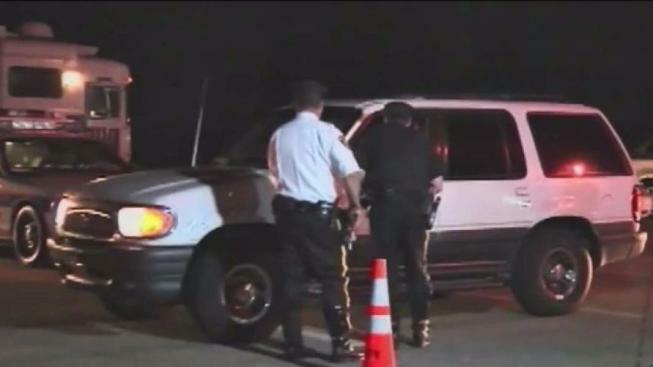 According to state police, more than 400 deaths on the road in the last nine years were because of drunk driving. Captain Marasco also answered where the money comes from. "Solely federal money that's being used for those sobriety checkpoints." Marasco said. This is true unless a private agency conducts their own checkpoint. "I think the tool is one in the tool box for law enforcement that they need to have available," Ames said. "Hopefully, if they're taking that away maybe they'll fill it with something different that's just as good," Forget said. The bill will now go to the New Hampshire Senate for a vote.